So, what exactly is Plating? Plating is a thin layer of metal that has been added to the outside of a material. It is a surface covering process by which a metal is deposited on a conductive surface. Electroplating – An ionic metal is supplied with electrons to form a non-ionic coating on a substrate. A common system involves a chemical solution with the ionic form of the metal, an anode and a cathode where electrons are supplied to produce a film of non-ionic metal. Electroless plating – Involves several simultaneous reactions in an aqueous solution, which occur without the use of external electrical power. You can watch on youTube how items are plated. 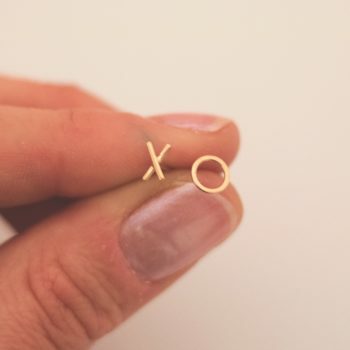 What metals can be plated? All kinds of metals can be plated, including gold, silver, tin, zinc, copper, cadmium, chromium, platinum and lead. What is “Sterling Silver Plated” Jewellery? Like other precious metals, silver varies in price and has seen an increase in recent years. Many manufacturers of jewellery are now choosing to create “Plated” jewellery. This means they are using a base metal (this could be a mix of metals, often copper). This is then coated (plated) in a thin layer of sterling silver. The two most common methods of plating a base metal with precious silver are electroplating and filling. You won’t find “Sterling Silver Plated” jewellery as much when you buy handmade jewellery, but it is always worth asking the maker if you are buying 925 Sterling Silver or Plated Metal. Here at Ayana jewellery we ONLY use solid Sterling Silver, you won’t find any “Sterling Silver Plated Jewellery” in our ranges! 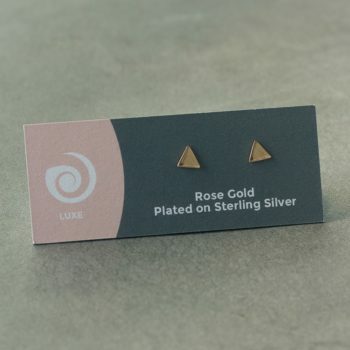 Rose gold plating is a process that uses electricity or chemicals to deposit and bond a very thin layer of gold onto another metal. Most often, the base metal is silver or copper. This will give a piece of jewellery the look of rose gold even though it is primarily made up of another, more affordable metal. This is why you can buy these items for considerably less than rose gold alloy items. We have just started creating Rose Gold Jewellery. To make our Rose Gold range affordable to the every day women, we handcraft the pieces in Sterling Silver. 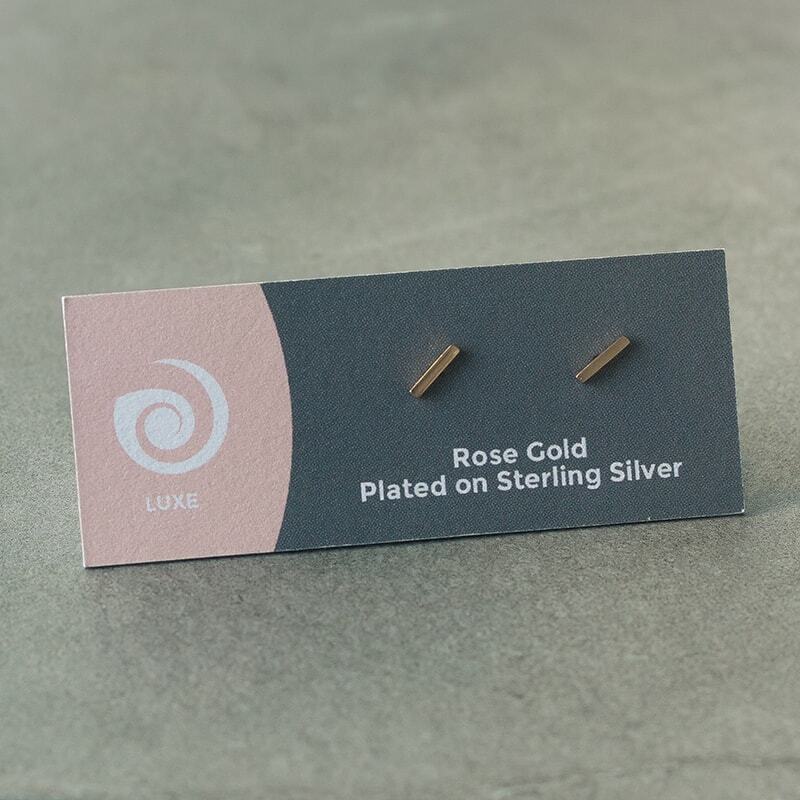 Once we have sanded and polished each piece of jewellery it gets sent off to the plating company where they plate the Sterling Silver with Rose Gold.